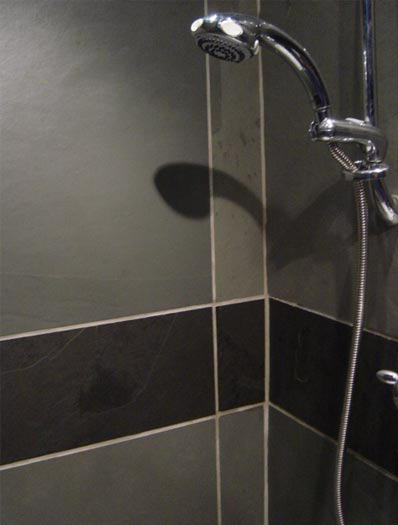 View just a small sample of images of slate products that we have supplied for a variety of bathroom fittings. 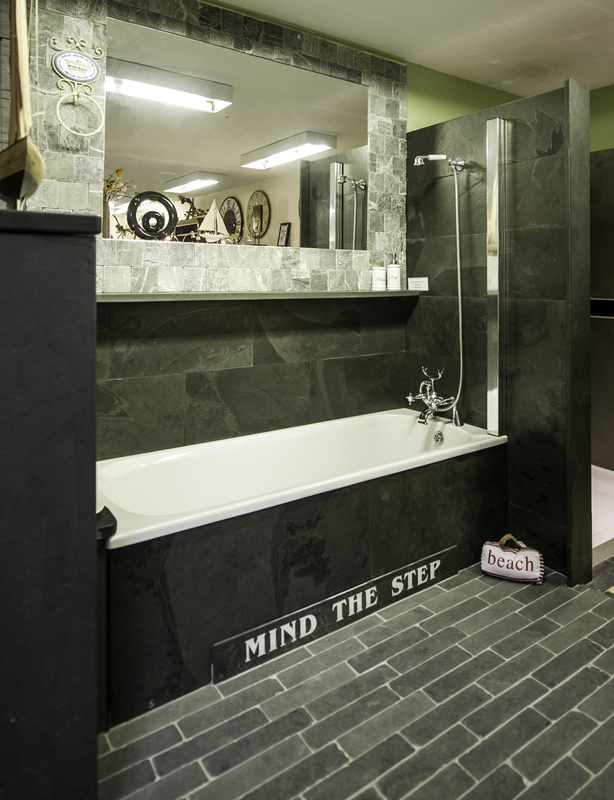 From commercial projects for the leisure and building sectors, to private installations and commissions for bespoke slate bathroom products. 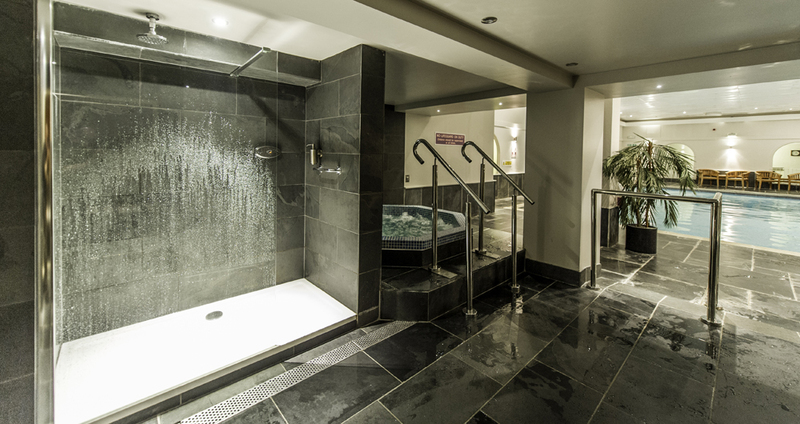 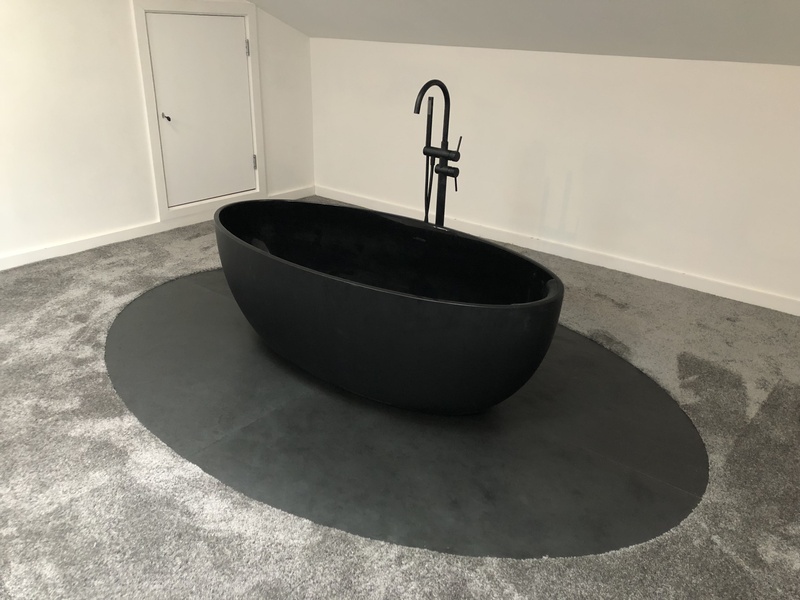 Over the years our team of skilled ccraftsmen have created a huge range of slate products for bathrooms, shower rooms, wet rooms and even for hotel swimming pool areas. 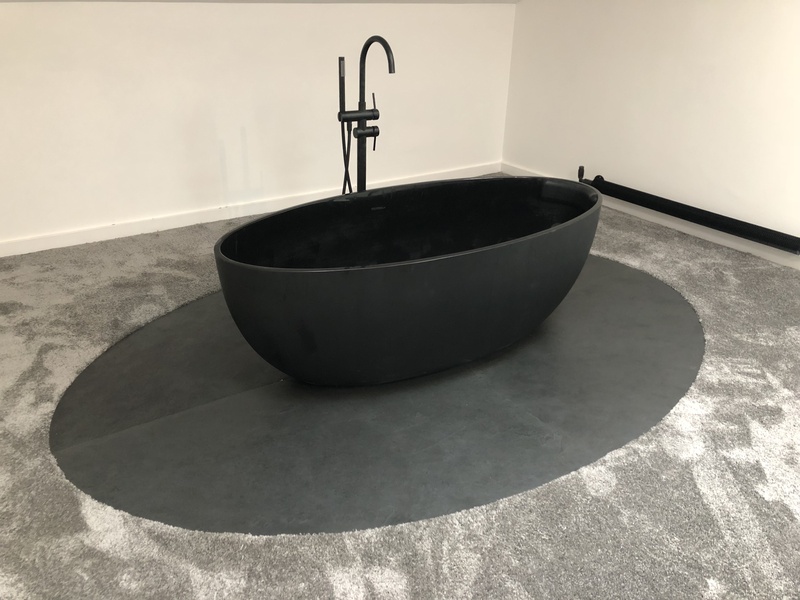 Ardosia have hand cut and crafted a wide variety of bespoke slate products for bathrooms including shelving for showers and solid stone shower trays that are cut from a single piece of stone to our customers exact specifications. 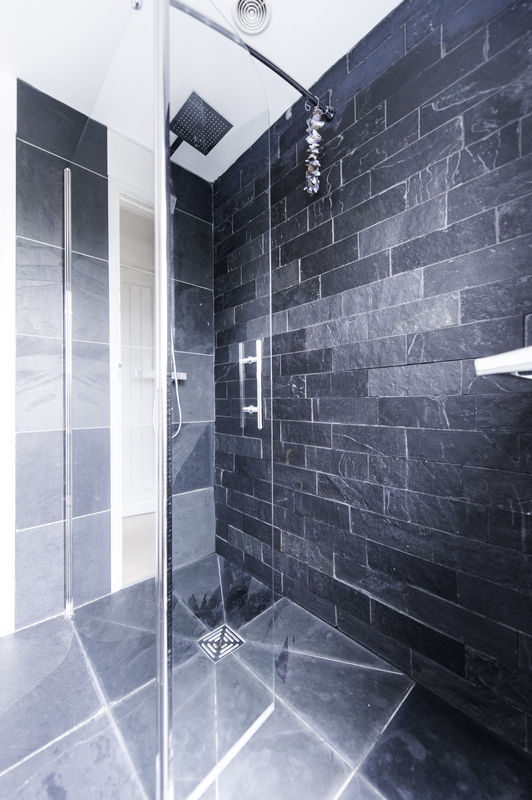 The most popular of our products for custom bathrooms are the bathroom slate floor tiles and wall cladding for shower areas, including both walk in showers in a wet room style and enclosed shower areas with glass frontage. 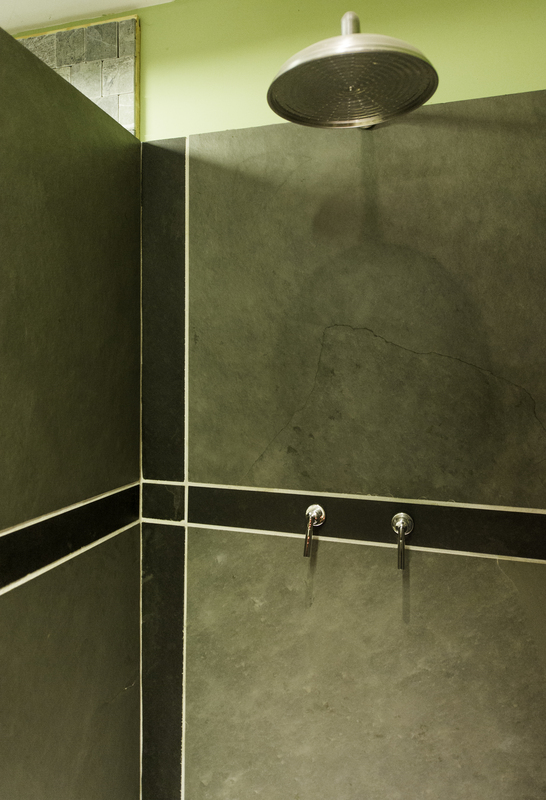 Ardosia supply a range of tiles suitable for wet rooms, showers and bathrooms in grey and black with a variety of finishes. 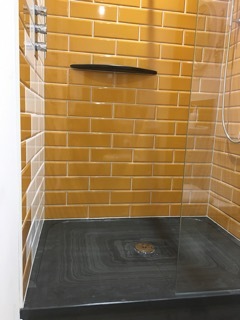 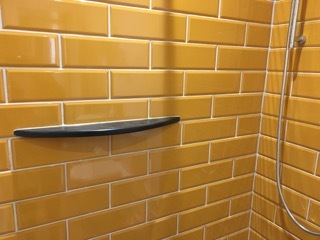 Many of the tiles that you can see on our bathrooms gallery page have been hand cut to our customers specifications or to architects drawings for commercial customers. 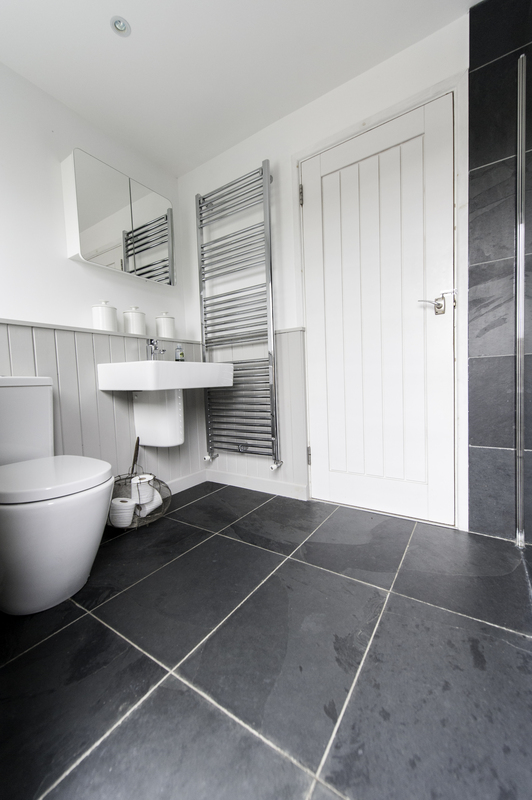 Ardosia specialises in providing bespoke slate products so if you like the images that our customers have kindly provided for us here and would like a no obligation quote for any slate products for bathrooms, shower rooms and wet rooms, both for private properties and commercial use, please call 01271 831039 and talk to our team.